He alleged that CM had handed over the state’s governance to mining mafia. Bhubaneswar: Senior BJP leader and Union petroleum and natural gas minister Dharmendra Pradhan on Saturday hit out at Odisha Chief Minister Naveen Patnaik stating that the BJD chief was fighting an issue-less election as the party has no other agenda except claiming Central negligence. Speaking to the media here, Pradhan said that even after 19 years of rule, Naveen and the BJD had no other election issues except criticising Prime Minister Narendra Modi and alleging Central neglect. “Naveen’s speeches are so much about Narendra Modi that it seems Odisha is going to have only Lok Sabha elections and not Assembly polls. The CM is fighting an issue-less election,” said Pradhan. Naveen Patnaik, during campaigning in Kandhamal district on Saturday, alleged Central negligence and also accused that Union ministers had been neglecting Odisha. Responding to such oft-repeated jibes of the BJD chief, Pradhan further said that people of Odisha were suffering due to lack of drinking water, quality education, and hospitals while corruption and unemployment have increased. “Violence against women is increasing right under the nose of CM Naveen Patnaik. Why is the CM silent on all these issues?” the Union minister questioned. “I hope people will trust BJP’s double engine for development and Naveen will fail in spreading hate against PM Modi,” he added. Alleging that the Odisha CM had joined with anti-India political forces, the senior BJP leader said Naveen always wanted to destablise the NDA government to secure his own position. 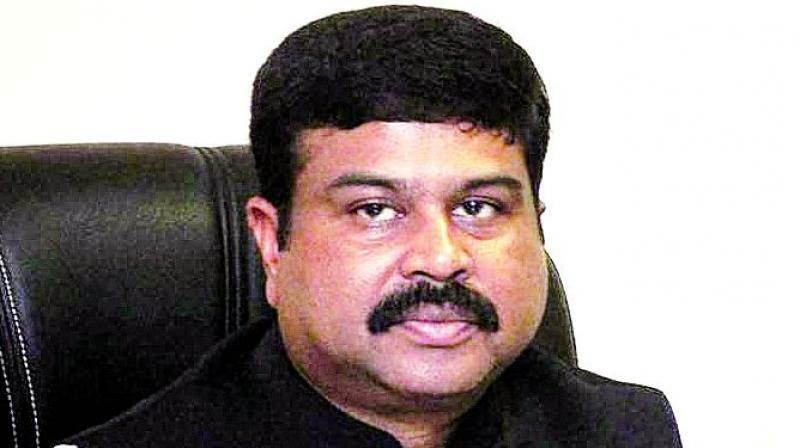 “Pradhan’s allegation against the CM is showing his fear of elections,” he added.